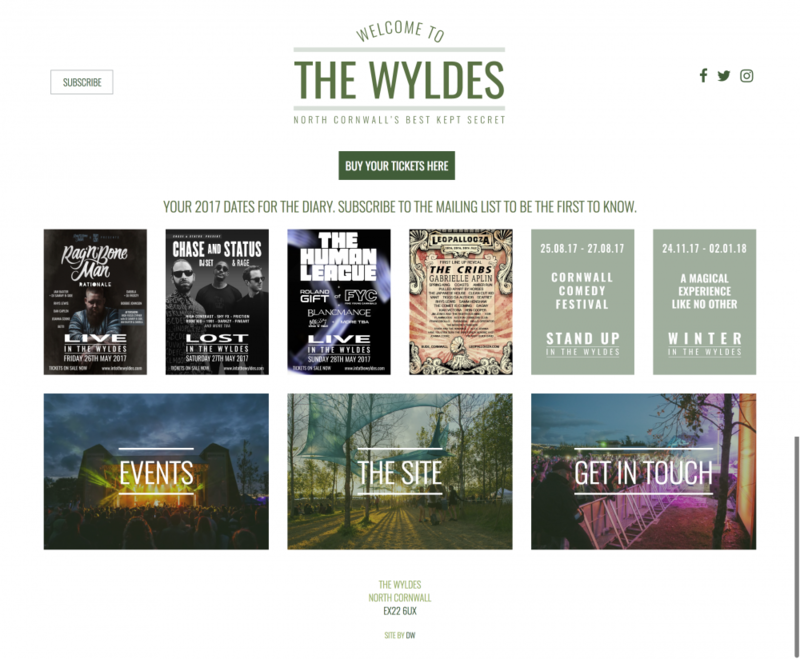 The Wyldes, near Bude, has been the home of multiple award-winning Leopallooza Festival for the past ten years and the team is proud to add a string of unique, high quality events throughout 2017 encapsulating the spirit of the award-winning grassroots festival. Having been involved in the core team of Leopallooza as the web developer since the beginning, it made it an obvious choice for them to ask me to develop them a website advertising the new string of unique events being delivered to Cornwall. If you like the clear/simplistic look for The Wyldes, then feel free to contact me via the contact page to discuss your requirements. Dean Wronowski has single handedly rebranded Bude. Not only in demand for web and graphics across the town and used by many businesses, Dean is now working for some serious national and international campaigns due to his original designs and professional approach. If you are looking to build a great original brand, complete with website, graphics and all marketing materials then this man is the only man you need to speak to, saving you hours of liaising between agencies and making it simple and fast. Whether you have a clear idea or what you want or need someone to guide you in all areas Dean is able to deliver on every level. He is also a complete legend!